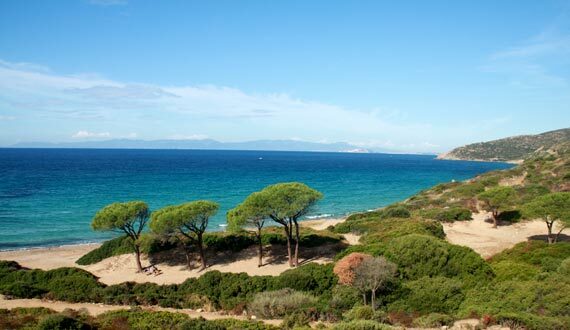 We joined in 2010 and again this year Sardinia will be one of the most visited for the holidays by the sea. The reasons for its success is the great beauty of its coastline and its beaches, a nature still unspoiled and yet the great organization and excellent tourist reception of his most beautiful areas like the Costa Smeralda. Here are excellent brand new hotel and residences, in addition to beautiful villas, with the most modern comforts, moorings for boats and yachts, boutiques with the best brands of high fashion, clubs and discos for the fun of even the young. The sea is a great resource for Sardinia, beaches are beautiful as much as those of the Caribbean islands, clear waters have nothing to envy to the Maldives, but we are at the heart of the Mediterranean in a location easily accessible from all over Europe. Sardinia has many very good local products such as cheese, for which the island has a secular tradition, good wine, extra virgin olive oil, honey and meat from animals raised in the wild. For all these reasons, we invite you to visit Sardinia this beautiful island that is part of Italy, we will advise you which locations to visit, we’ll tell you where are the major tourist attractions and where to stay in the best hotels.